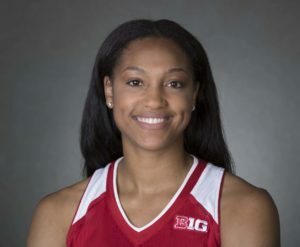 It’s been a long season for the Wisconsin women’s basketball team, but this time of year, nobody’s complaining about having to play extra games. The 11th Badgers opened the Big Ten Tournament with a 61-55 win over 14th seeded Rutgers in Indianapolis on Wednesday afternoon. Avyanna Young scored 20 points to lead the Badgers past the Scarlet Knights for the second time in three meetings this season. Marsha Howard added 12 points for the Badgers (9-12), who will face 6th seeded Michigan State at 8 p.m. tonight. Shrita Parker scored a career-high 24 points in the loss for Rutgers (6-24) as the Scarlet Knights saw their season come to an end.